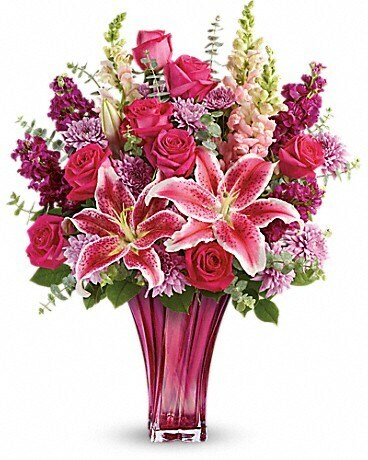 When only the best will do for Mother's Day, surprise her with this incredible gift! 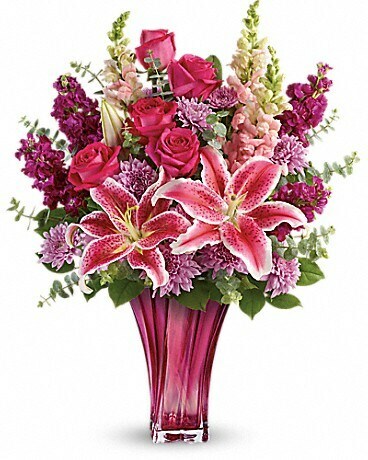 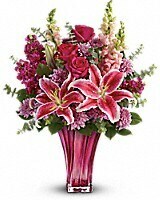 Large and lush, this bouquet of hot pink roses, pink stargazer lilies and lavender mums is fragrant, feminine and fabulous. 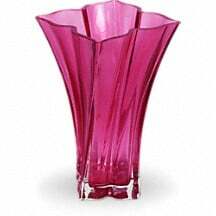 What an unforgettable treat when hand-delivered in this exquisite blown glass vase!